Deliver the Right Product FASTER! 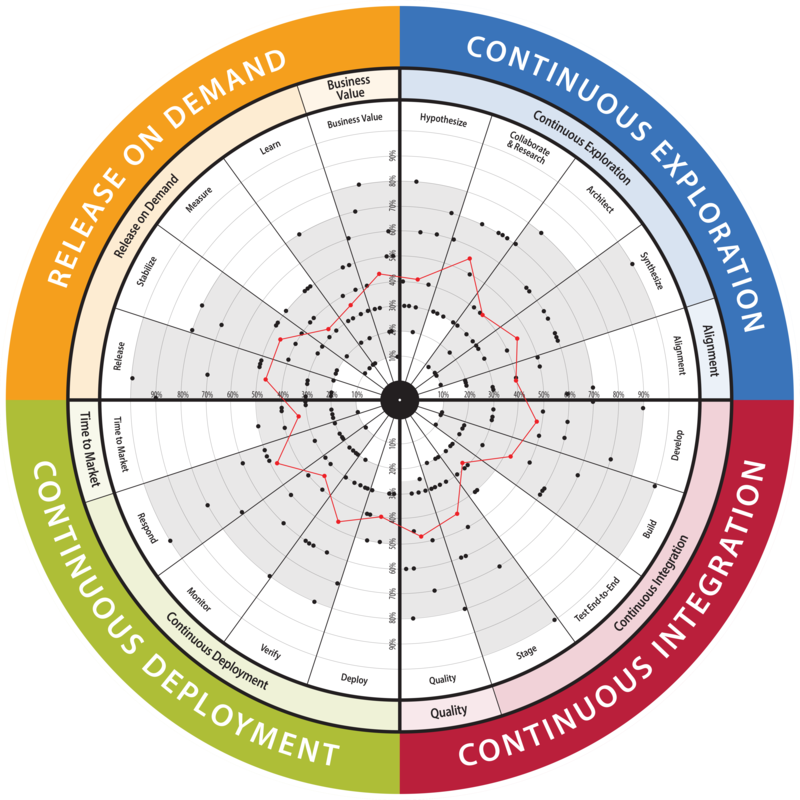 To facilitate a SAFe® DevOps Health assessment for Technology Delivery trains to gain visibility into their current DevOps maturity, identify key areas for growth, and develop a concrete growth plan of action for the next quarter at the program and team levels. This assessment could be completed at a program level and could include technology managers and members of architecture, ops, security, testing, release management areas. Additionally, the assessment could be completed a team level and would include all members of a technology delivery team. You can then view how the leadership/program team responded vs. the teams. 2 to 3 times per year to check-in on the SAFe® DevOps health of the program and/or team(s). To deliver the SAFe(r) DevOps assessment successfully, you need to go through the 1 day AgilityHealth DevOps Facilitator certification.